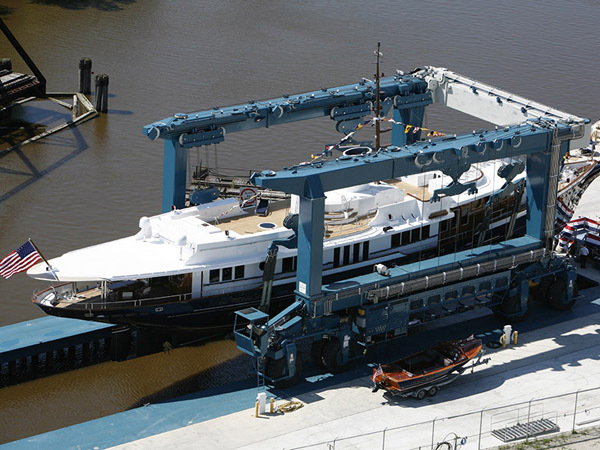 400 ton travel lift for sale is suitable for lifting and transporting large boat and yacht. 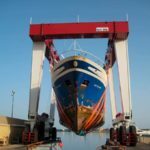 With power loading capacity, high efficiency, complete safety protection devices, stable performance, 400 ton marine travel lift has wide use in many fields, such as dock, construction site, shipyard, aquatic clubs, water sport meetings. 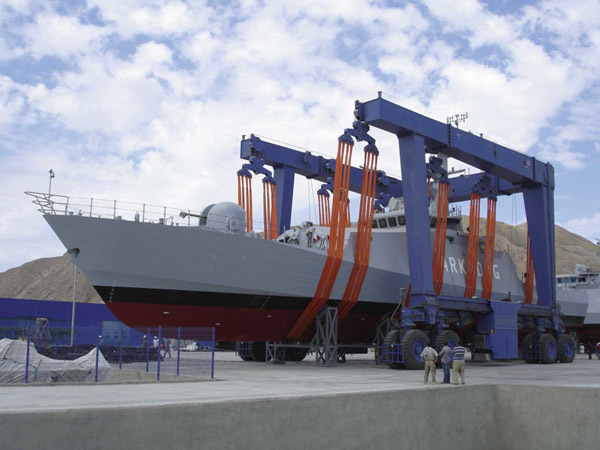 Mobile boat hoist crane is a kind of flexible safe and reliable lifting equipment. 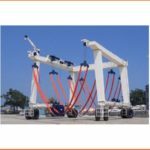 This equipment has variety steering mode, bring its own power, which is suitable for the boat lifting of yacht club, water amusement park, water training center, navy and so on. Our company is a reliable travel lift supplier in China. We provide types of travel lifts for sale, such as light duty travel lift, heavy duty travel lift, remote control travel lift, cabin control travel lift, amphibious travel lift, u shape travel lift. We also have customized service. 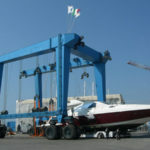 This ensures every customer can get the most suitable mobile boat lift crane. 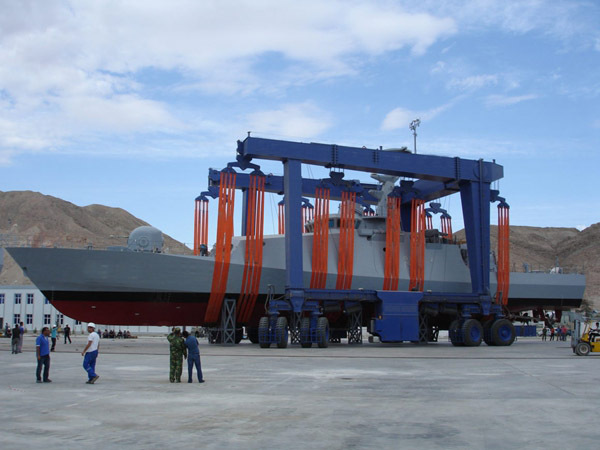 Our high efficiency boat lifting gantry crane includes the following items, main structure, traveling wheel block, hoisting mechanism, steering mechanism, hydraulic transmission system, electric control system, the main structure for the new type. 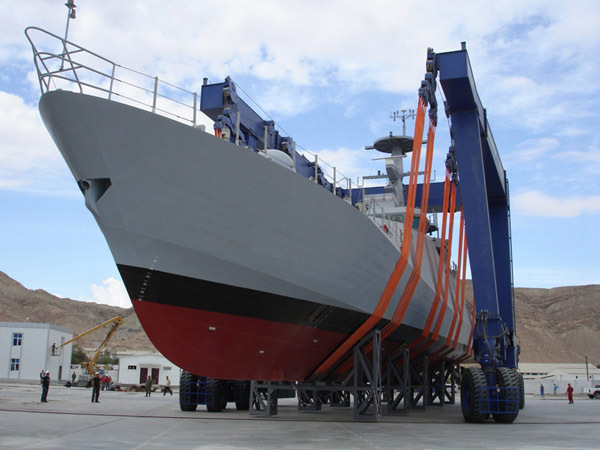 It can transfer the boat which the height surpass its height. 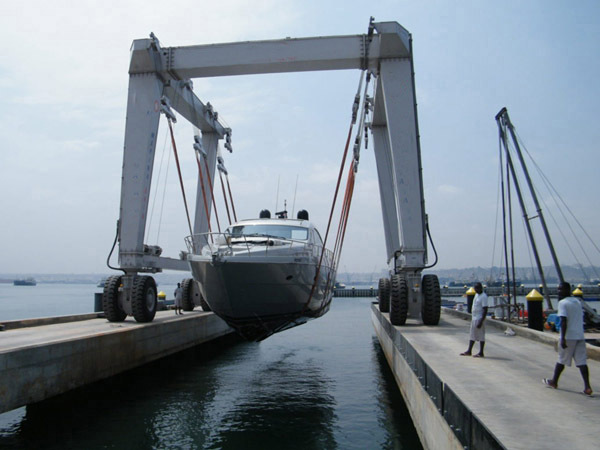 According to different requirements of our customers, the boat hoist crane can handling different tons boat or yacht from the shore side. It can be used for the maintenance on the shore side or can put the new boat inside the water. With soft and firm belt to lift the boat, yacht, it will never hurt the surface. It also can put the boat in sequence quickly with small gap between each two boat. 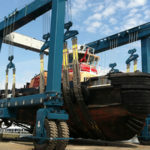 40 ton mobile boat hoist crane belongs to a light duty travel lift. It is nice choice for small boat. With light weight, simple system, flexible move, such special 40 ton gantry crane can increase working efficiency and improve working conditions. 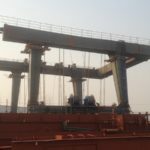 400 ton boat lift crane is kind of large travel lift. 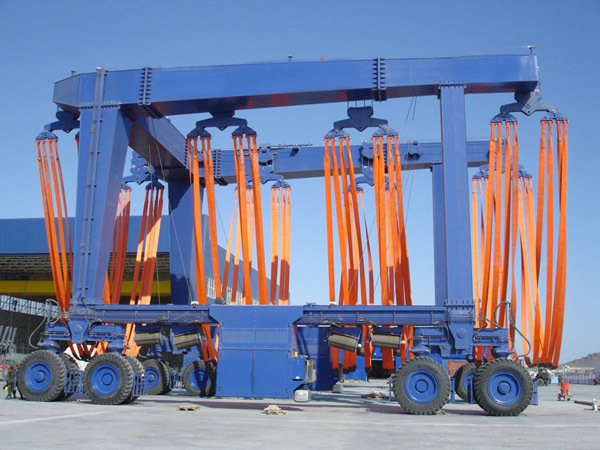 It has power loading and transporting capacity, and can move stably. 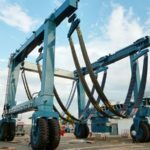 It can save much energy and time for lifting heavy boats. 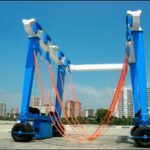 Such heavy duty travel lift is equipped with safety devices to avoid accident, protect the operator and travel lift from damage, and prolong the service term.